A new generation of female mariachis are challenging their male-dominated genre. For Alina Estrada, 41, mariachi has always been part of her life. Her father was a folklorico dancer in the 1970s and a teacher in East Los Angeles. "At the school he taught at in East L.A., they had a mariachi program, so that's pretty much how I got into it," she said. Mariachi music, or traditional Mexican folk music, has long been dominated by men, but new crops of female mariachi, once intimidated by this, are challenging this norm. "Now, it's like, well one did it — I can do it. And then another one. And everybody just starts doing it," Estrada said. "They're braver. 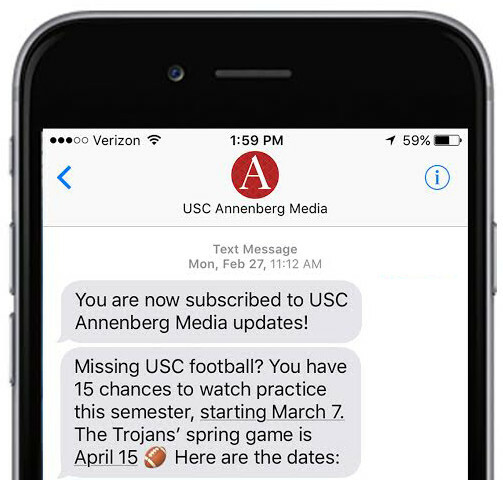 They're better. Times passes and people have paved the way for us. So it's easier. It's more accessible." Estrada, who has been playing the music since she was a teenager, has managed to carve out a full-time career as a mariachi. While she acknowledges that her profession is male-dominated and that some female mariachis feel like second-class citizens, she does not share the sentiment, preferring to see the silver lining. "They (female mariachis) take something that can be a negative situation, and pretty much start their own business. It's awesome to see these girls take initiative, and be confident, and have the backing of each other," she said. Estrada is a member of the all-female mariachi group, Mariachi Las Catrinas, newly formed this year. She credits two of her group members, Jasmine Farias and Wendy Alarcon, who is also the group's leader, for creating an empowering environment. Considered a late bloomer to mariachi, Farias got her start when she was a teenager; she said her siblings started around the age of 7. Like Estrada, the 24-year-old Modesto, Calif., native comes from a mariachi family. "My grandpa and my dad were both mariachi musicians," she said. "My dad ended up making his own mariachi band in the '70s, and when he had his kids, he just raised us to play the music, and raised us with the music in the house." Farias said that while she started doing mariachi to help her family out financially, as she was too young to get another job, the music inspired her to make it a permanent part of her life. "All the songs — they have such beautiful lyrics that you just end up falling in love. You end up falling in love more with the songs more than actually just like playing them," she said. "When you sing them, you feel like you're part of it." Farias said that she has been affected by microaggressions from men in the mariachi community. "They make us feel like we don't know what we are doing, but we show them up, you know what I mean? They mansplain everything," Farias said. Farias said some male mariachis do not like changing song keys for their female counterparts. "They'll hardly let us sing because they don't want to change the keys of the songs they already play in 'guy keys,'" she said. Empowering women is one of the group's goals, Farias said. "What I feel like what we're trying to do is push ourselves a little bit over the edge so that there can be more women not feeling belittled by men," she said. "Like, 'Let's make our own women group. If they don't want to let us in their groups, then they can't be in ours either.'" 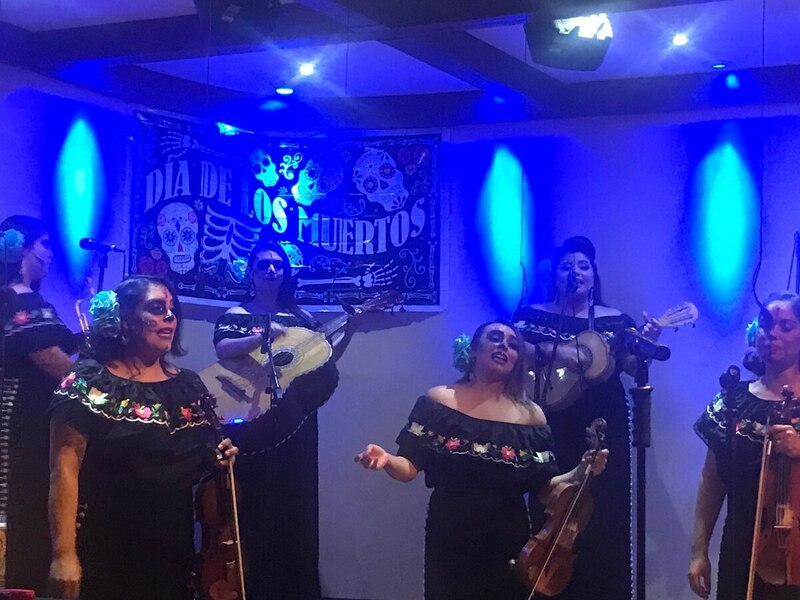 Las Catrinas' leader, Wendy Alarcon, said that the new generation is rising to the challenge of making the mariachi world more inclusive, as it is predominantly older men who try to push female mariachis aside. Alarcon, a 28-year-old Boyle Heights native, has been in mariachi for over a decade and plays the vihuela, a traditional Mexican instrument similar to a guitar. "When I started working, I was working with a lot of older men," she said. Two months into her mariachi career, Alarcon said, one man told her, "I think you should just stop playing mariachi." Instead of discouraging her, this gave her the motivation to persevere. "Let me just give it my all. Let me prove them wrong," she said. Despite misogyny, Alarcon said that her group has received a lot of support. "Ever since we've started we've had so much support from male mariachis, from female mariachis, and it's a blessing to have it, honestly, because we're not taking it as rough as it used to be," she said. 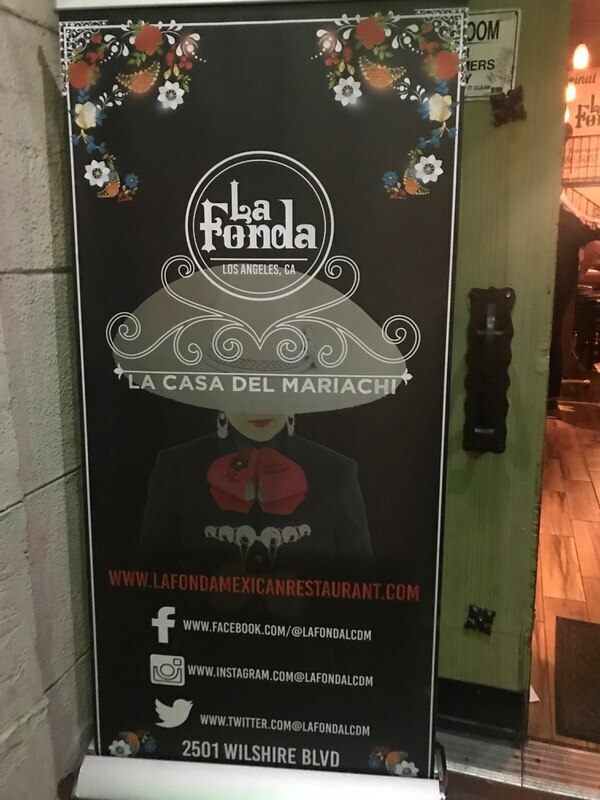 One supporter is John Hinojosa, the owner of La Fonda, a restaurant and renowned mariachi performance space in L.A.'s Westlake neighborhood. He reserves the Thursday performance slot exclusively for female mariachi groups. "Female groups deserve opportunities in the male-dominated mariachi world. 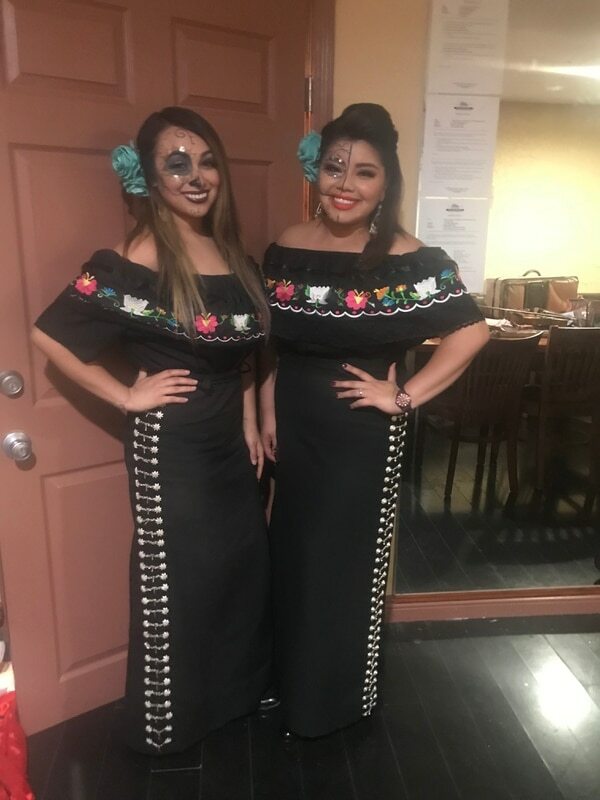 We hope that our efforts will help make a difference and open other doors for these talented and wonderful musicians," said Hinojosa, who created Noche de Mariachi Femenil (Female Mariachi Night) after a conversation with mariachi Anisa Palomar. Each group, Hinojosa said, gets the Thursday night slot for about a month in order to give them more exposure. "That way it gives everyone time to come in and see them," he said. According to Hinojosa, female mariachis work just as hard as male mariachis. "Maybe even more," he said. Alina Estrada said that hard work, dedication, confidence and knowing your craft is just what it takes to be a mariachi. "These girls have to learn so many songs. They don't stand with their (sheet) music. They memorize five, six, seven hours of music. They know the styles. They know the differences," Estrada said. "If they don't recognize something, they still studied something really intensely." The cultural legacy of mariachi means as much to female mariachis as it does to their male counterparts. "You're bringing your whole culture, you have it on your back almost," Estrada said. "It's a responsibility. Us, as women, as musicians, as, well I don't know, young people — yes, me too — it's a responsibility." Diana Postolache is the Global City Desk editor and the producer of "Home is Where the Food is," a food and culture mini-documentary series. 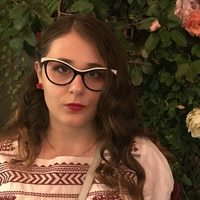 She is interested in reporting on international affairs, immigration, LGBTQ issues and entertainment.